Luxury meets adventure without the booking hassles. We pursue personal experience in the adventures we recommend so that we can be confident your “time away” is something you never want to forget. The time-consuming research and stress that come with planning a vacation cause many to avoid vacationing altogether. Let us step in and help you make time count by connecting you to products we feel reflect a level of excellence and attention that is superior. Beth loves to travel and uses her lifetime of large-group travel experience to aid others from the unnecessary stresses that are naturally a by-product of planning a big trip. A Favorite Vacation Memory: Taking her 8 children on their very first planned trip to Walt Disney World that jump-started her love for Disney Destinations and eventually led her to planning vacations full-time! Exploring the world with his wife and creating memories with his growing family are a few ways Tony strives to make time count. A Favorite Vacation Memory: Spending 2 weeks in Europe with his parents, wife, and daughters - visiting the UK, Downton Abbey and cruising on the historical and enchanting Rhine River. On top of being an expert in Ocean Cruising, Lorna obsesses over keeping up to date on all the little details of Disney Destinations so that she help make every family’s Disney Vacation dreams a reality! A Favorite Vacation Memory: Taking part in the Christening Celebration of the Disney Dream Cruise Liner in 2011. Emily savors weekly movie dates with her husband, staying closely in touch with all the Disney Destinations, and applies her lifetime of vacation experience to benefit Hourglass customers. Caitlyn enjoys tailoring the perfect stress-free vacation for families while counting down the days til her next adventure with her precious family! A Favorite Vacation Memory: Watching the magic of her babygirl not letting go of hugging Pooh for a solid minute in Disneyland. Enjoys fan-girling over Marvel, Star Wars, Harry Potter, and Disney with her family; Kim takes that passion into planning dream vacations for fans and families! A Favorite Vacation Memory: Spending a week at Disney’s unsurpassed Aulani Resort & Spa with her husband, and surprising her family with a trip to Walt Disney World! Enthusiastic about travel from a young age, you’ll either find Susie on her next adventure or planning someone else’s! 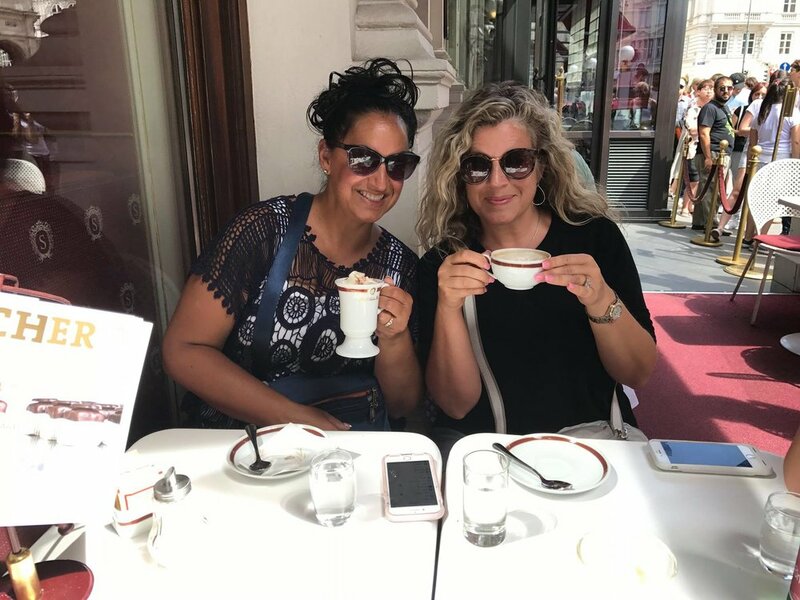 A Favorite Vacation Memory: Exploring the Czech Republic and Italy while working in Prague for nearly 3 years, adventuring cities along the Aegean and Mediterranean Seas with her sister, and traveling from Copenhagen through Norway with her family on Disney Cruise Line. Karrie enjoys a good romantic comedy, cooking, traveling the world and spending time with her family. She enjoys using her plethora of experience to lead groups to the most valuable vacation package. A Favorite Vacation Memory: Visiting WDW during Christmastime while her daughter was in the Disney College Program and watching their foreign exchange student experience Disney for the first time! Mother of 5, Pastor’s Wife and Texan who loves loading her van and traversing the country with her gang, she loves to help families make time count! A Favorite Vacation Memory: Traveling through Poland with dear friends and staying with locals in their homes. Carter & Hannah simply love to adventure. From the beaches of Cuba to the Mountains of Nepal to relaxing at the Walt Disney World resorts, together they have explored over 71 destinations around the world. A Favorite Vacation Memory: When they spent 9 days in Hawaii at Disney’s Aulani Resort & Spa watching their daughter experience the ocean for the first time. Wife and Mom to 4 amazing boys, Heidi enjoys camping in the summer, homeschooling in the winter and dreaming/planning their next trip to Disney. Cherishes her kids, her dog Ava, British crime dramas and Disneyland. Lori loves to share her knowledge of Disneyland and other Disney Destinations to help families choose the right vacation for them! A Favorite Vacation Memory: She loves getting to the park early to be one of the first of the day to walk down Main Street USA toward Sleeping Beauty's Castle! Loves riding rollercoasters with her husband and relaxing at home with her 110 pound fur baby, Sebastian. A Favorite Vacation Memory: Touring all over Italy and eating all the pizza and gelato possible! Enjoys working out, reading a good mystery novel in her spare time, and designing stress-free vacations for families who want to go somewhere grand but don’t have the luxury of time to plan it! A Favorite Vacation Memory: Her 40th Birthday - Watching Magic Kingdom fireworks from the Concierge Lounge at the Contemporary Resort with her kiddos in their pajamas while enjoying popcorn, cookies and hot cocoa.